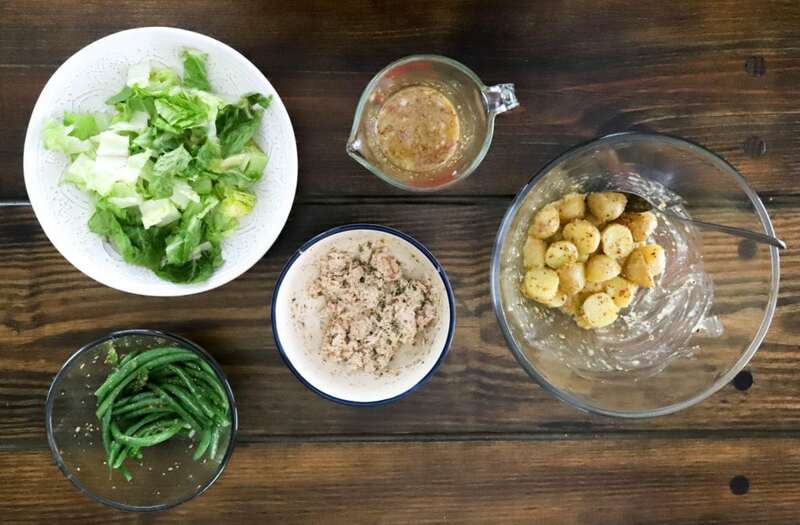 Let’s make Mustard Nicoise Salad! 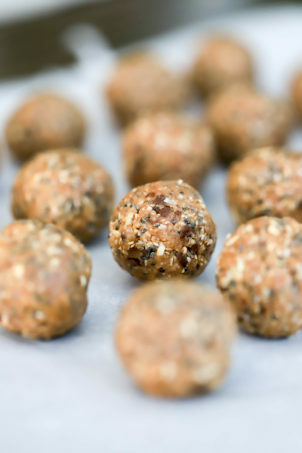 The first step is to make the mustard base, which is grainy mustard (the grainest you have! ), salt, sugar, and olive oil. Whisk it together and keep it around for the other items on the salad. 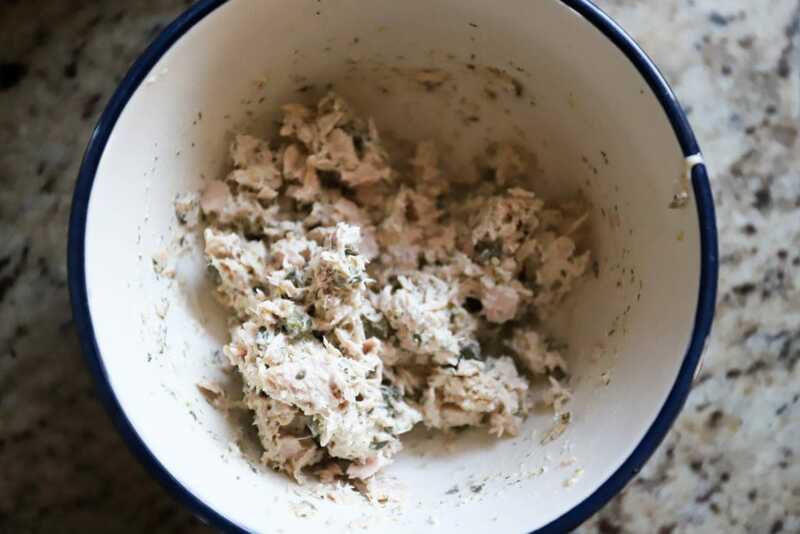 Once the mustard mixture is done, grab the ingredients for the tuna salad. This, by the way, is DELICIOUS on its own with crackers or on a sandwich. 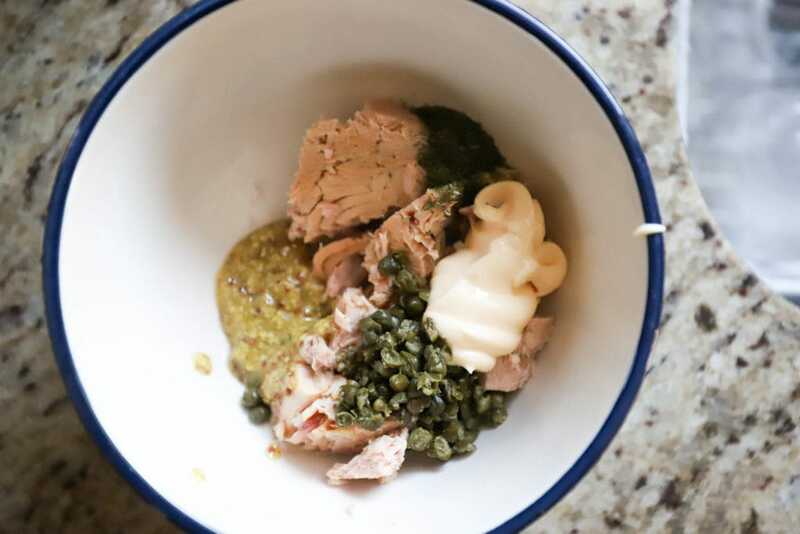 We have canned/drained tuna, chopped capers, dried dill, mayonnaise, and a scoop of the mustard base. 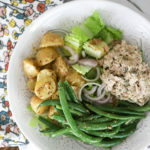 Mix the tuna together gently with a fork, and taste it for yum factor. Add some pinches of salt and pepper if you’d like! Next, potatoes. Grab some teeny potatoes and some garlic cloves. Cut the potatoes in half or quarters to bite-sized. 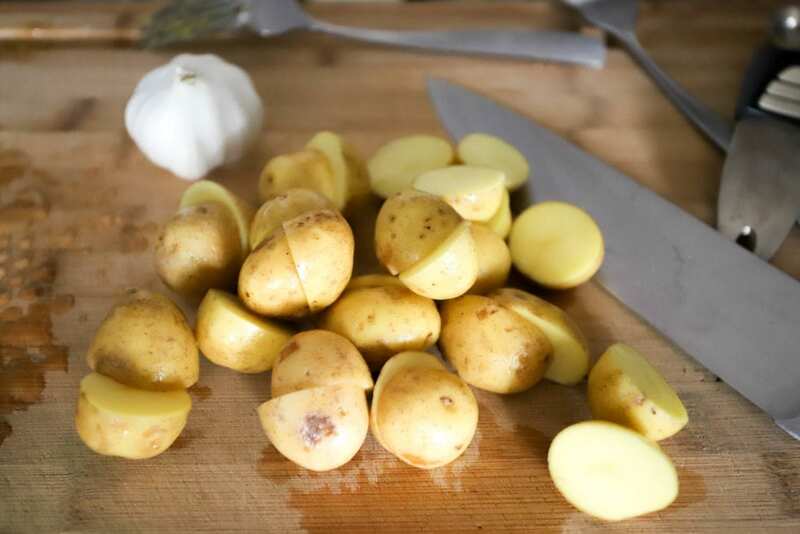 Place the potatoes and garlic cloves (peeled and smashed) in a pot of salted water. Bring the potatoes to a boil and let them cook uncovered for 10-15 minutes until the potatoes are just tender. 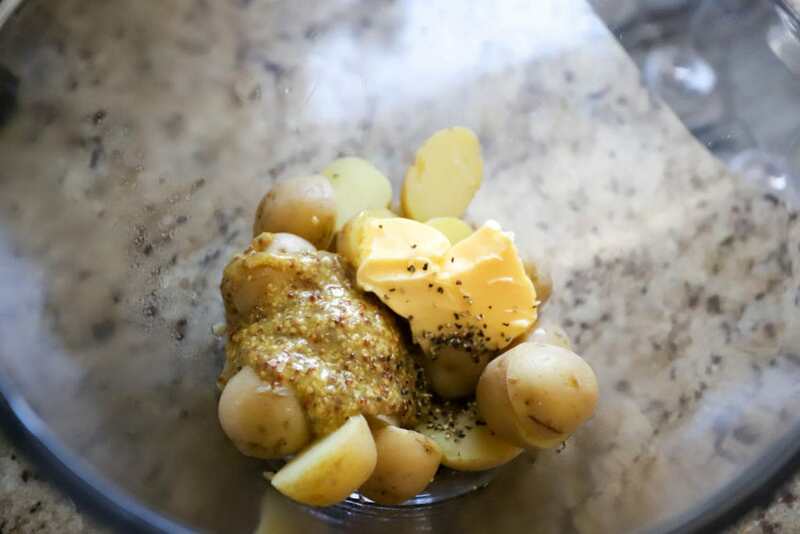 Drain the potatoes and discard the garlic cloves, then toss the potatoes while they’re warm with butter and more of the mustard base. 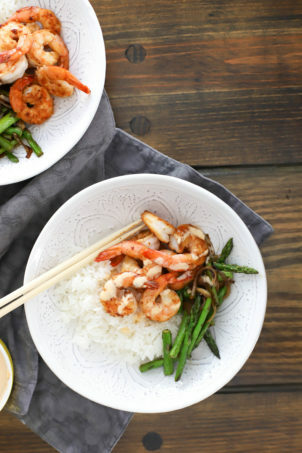 Taste, add salt, you know the drill. These are SO good. Maybe my favorite component of the entire dish. 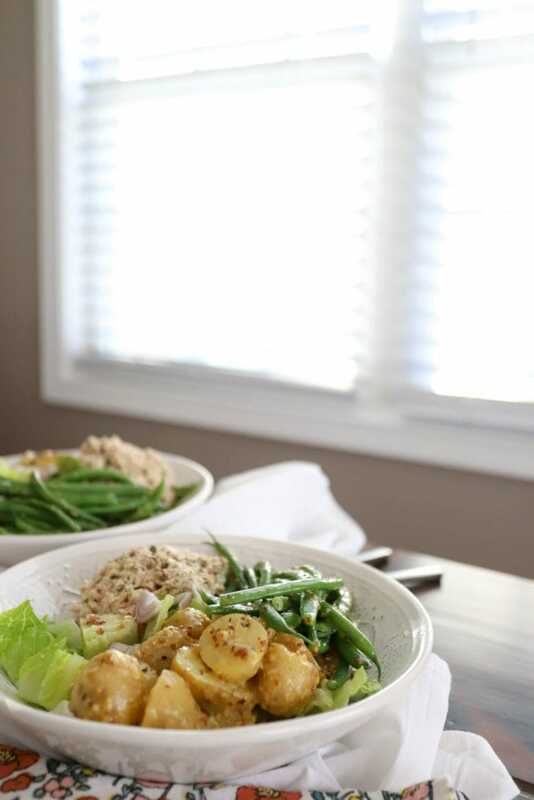 Once the potatoes are done, bring some more water to a boil for the green beans – just three or four inches of water. Boil the green beans for ONE minute, then drain them to a bowl. Toss the beans with the mustard base, salt, and some vinegar. Now, gather up the rest of the salad components. Chopped lettuce, sliced shallot. 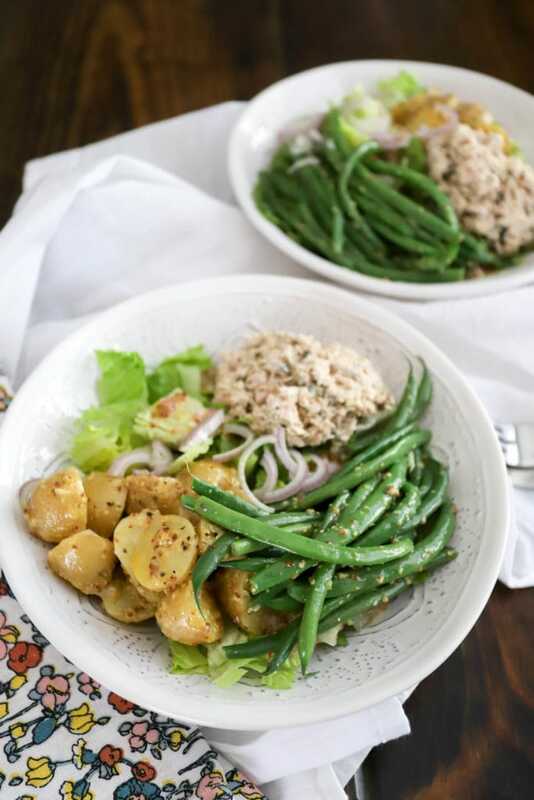 The green beans, potatoes, and tuna salad. 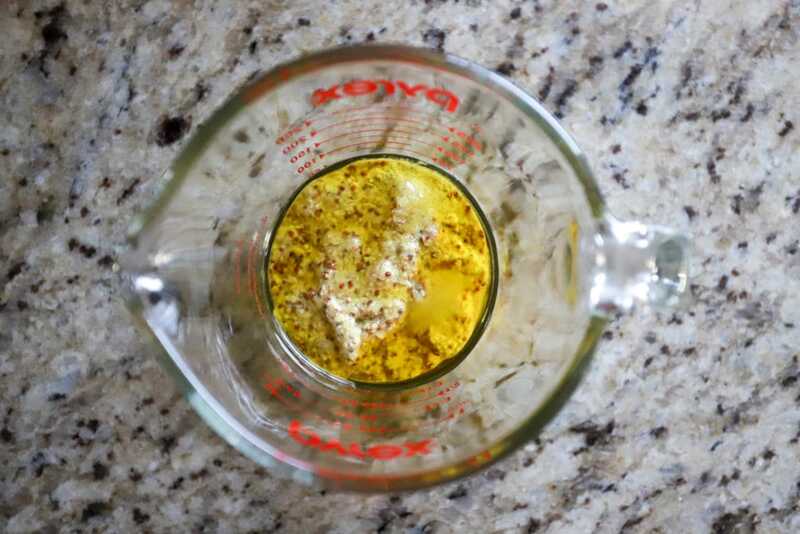 With the rest of the mustard base, make a vinaigrette with some chopped shallot, salt, honey, and vinegar. YUM, again. 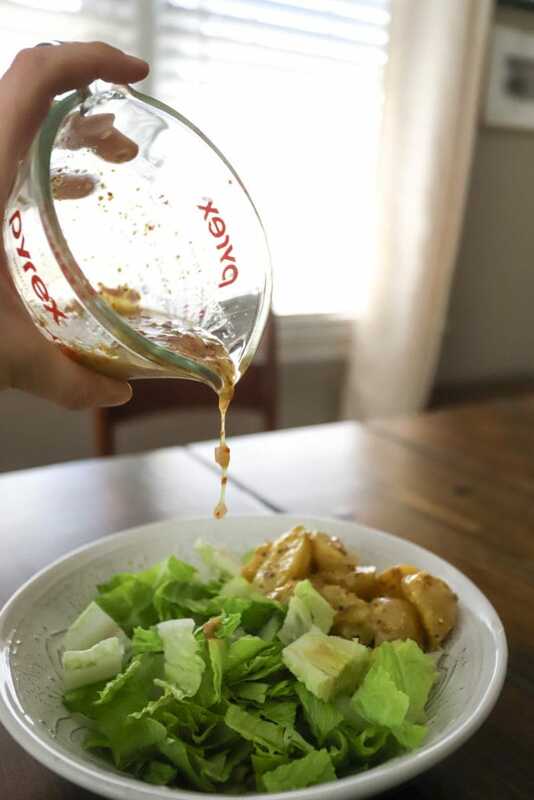 Now, I arrange some lettuce on a wide plate or bowl, then drizzle just a bit of dressing over the lettuce base. 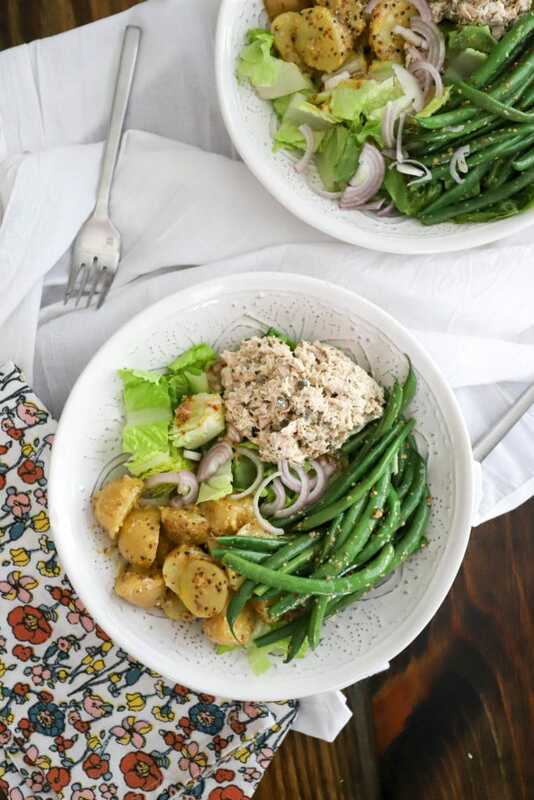 Top each salad (this makes two or three big salads) with tuna, potatoes, green beans, and shallots. 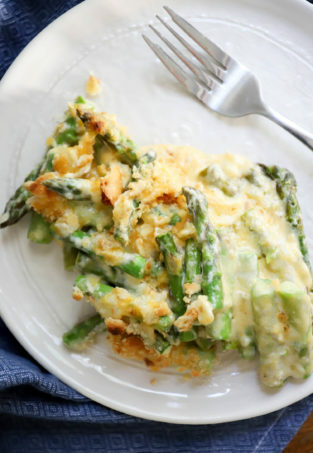 At this point, you could add pepper, olives or more capers, hard boiled eggs, or more of the dressing! The flavor here is INSANE. 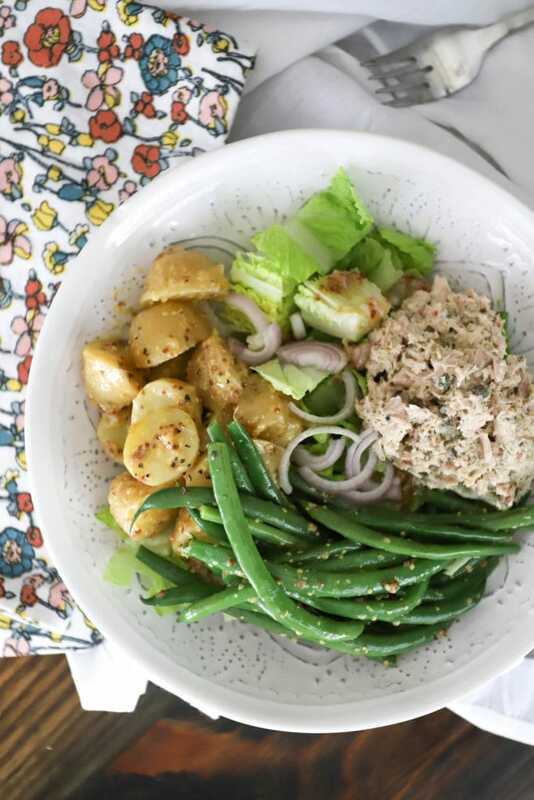 It might feel like overkill with the mustard but it’s really not – the butter in the potatoes, vinegar in the beans, and capers and dill in the tuna make each component feel really different even though some of the ingredients are repeated. 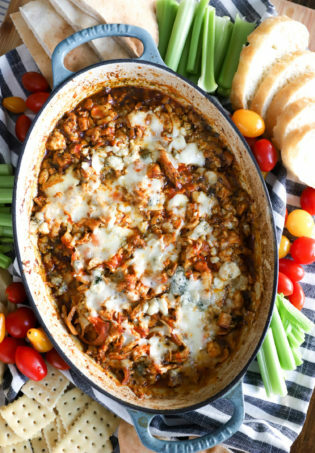 I love making a double batch of this and having leftovers for lunches or quick dinners. The potatoes are great warm and absorb so much of the butter/mustard flavor that way, but are delicious straight out of the fridge as well. 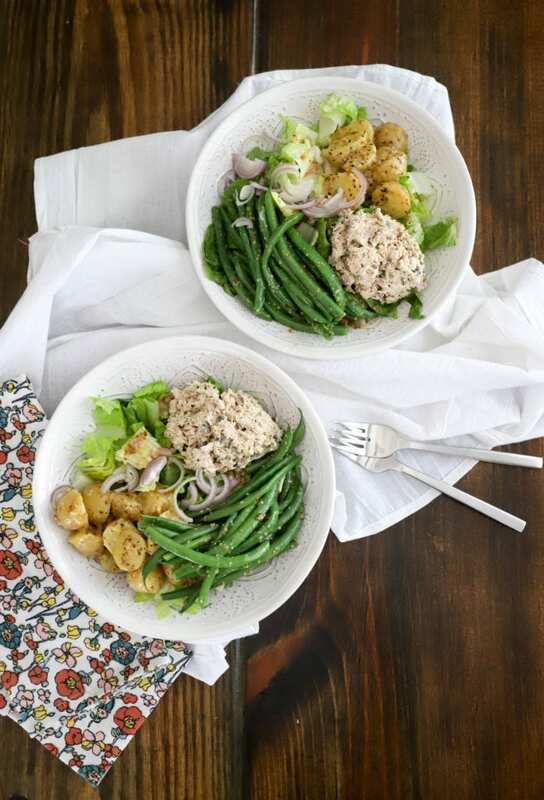 Enjoy this twist on nicoise salad!